That question has been around for generations, no? As leaders in Fire and EMS organizations, do we truly know the answer for ourselves and others in our organizations? If we are to continue to recruit and training and retain the individuals necessary to adequately staff our organizations in the coming years, perhaps we would be better served to ponder the question. More so, what are the expectations of the next generation of firefighters? How do recent college graduates use social media to identify opportunities? How are recent college graduates influenced by a company’s employment brand when looking to join an organization? “Paying one’s dues” as the primary means of advancement in our organizations will continue to go the way of typewriters, hardline telephones, and dirty turnout gear. We must attract educated young people who are willing to learn to our profession if we are to meet current and future challenges. To do that we’re going to have to leverage new educational technologies and methodologies to properly prepare young people for greater responsibilities early in their careers rather than later. If our military forces can teach young people how to be good front-line leaders in months, why should it take years on the job before we feel our younger people are ready to lead teams or participate in making meaningful contributions to the organization in other ways? Nobody says it’s going to be easy. Firefighters in many areas have always struggled to be paid commensurate with what they provide to the community. More fire departments need to “up their game” when it comes to informing and educating the people in their communities—perhaps even before getting to better compensation for the individual—of how the services they provide improve the quality of life in the community. Now, more than ever, it’s time for fire departments to rebrand themselves. Let’s take a page out of the book of corporate America when it comes to rebranding. Replace the name fire department with a new and more descriptive moniker, e.g., Hazard Prevention and Control Department, staffed by Hazard Prevention and Control Technicians. The goal of any company that successfully rebrands itself is to have the customer “forget” the old company and embrace the new one. It’s a reality in the working world that there are fewer potential employees coming into the workforce than ever before and the competition for them is only getting more competitive. If the fire service is to successfully compete for the educated workers that it needs to meet 21st century challenges, it’s going to have to become more competitive on the issue of pay. But actual pay is not going to be the only issue. Departments must become more creative and imaginative in how they can provide various forms of compensation that are valued by the incoming generation of employees and members. Tuition reimbursement to further their education, family health and wellness programs, childcare services, etc., are just some examples of what should be “on the table” for future discussions. Much has been written recently about the negative impact of the traditional 24-hour shift on firefighters, particularly regarding sleep deprivation. The 24-hour shift also has a significant impact on family life, especially for parents with younger children where childcare is so important with both parents working in many cases. Fire service leaders, along with other stakeholders such as firefighter unions, must aggressively seek out good reasons why new scheduling schemes are needed rather than why not. The newer generation of workers is coming with an expectation of a good work/life balance and they’re going to go into careers where they believe they can have that. Can we really afford to keep offering a “one-size fits all” approach to staffing our organizations? 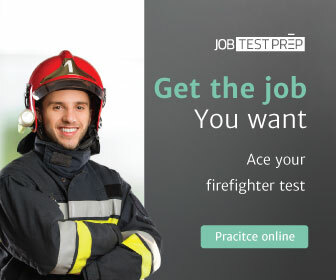 Just how appealing are we portraying a career in the fire service to be? A rising awareness of the cancer risk for firefighters. Departments embroiled in sexual harassment and job discrimination lawsuits. Fire department leaders and employees engaging in poor behavior—and in too many cases, illegal behavior—that besmirches not only their departments and communities, but also the service in general. How many young people are going to be attracted to the fire service in the future? How many parents—particularly those who have daughters—are going to want their offspring to pursue a fire service career? Many of us became firefighters because we wanted to help people and/or make a difference in our communities. How many members of the up and coming generation of workers in the United States have a similar mindset, particularly when many of them have been raised by “helicopter parents” who’ve not instilled a “service before self” attitude in their children? How do we market a service industry like ours to such a target population? Tough issues and questions for sure. What do you think? What ideas do you have for moving forward? Next: Want More Women for Your Fire Department?